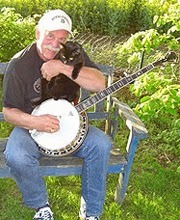 Rüdiger Helbig is probably the most famous banjo picker in Germany who is also credited for helping bluegrass scene rise and grow in Western Europe. With his band, Huckleberry Five, he travels the continent bringing American-style music to bluegrass lovers and fans. Since 1979 his music store in Munich, FolkLaden, is a reference point for instruments and accessories for Germany’s folk music community. Rüdiger also hosts a bluegrass camp in the Spring south of his home in Munich. You can find more details about Bluegrass Camp Germany online. Next year’s instructors include Greg Cahill, Clay Jones, Jesse Cobb, and Phil Leadbetter. Lately, the Ortega Guitar company asked Helbig to help them design a line of budget-priced banjos for the European market, and the beginning of this month they have introduced a set of banjo strings bearing Rüdiger's name and likeness. 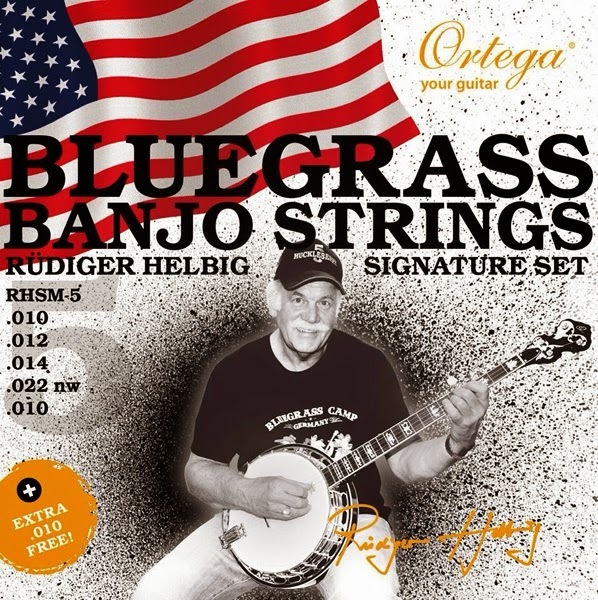 These Rüdiger Helbig Signature Bluegrass Banjo Strings are made with a special steel alloy which lasts longer and the more they are played, the better intonation they provide, he says. In addition, Rüdiger says these strings are a little harder than normal, and last longer than the usual ones on the market. They are good for playing slow stuff as the sustain is much better than on regular made strings. The full gauges are .010", .012", .014", .022" and .010". In case you break a first or fifth string, each package contains an extra .010" string. The sets can be found at any Ortega dealer in Europe and in the US sometime in 2015.